Medical billing and coding are important elements of today’s healthcare industry. These elements are essential pieces of the reimbursement cycle and they help make sure healthcare providers are properly paid for the medical services they provide to patients. Learn more about the medical insurance billing process by reading more below. One of the easiest ways to understand medical coding is to compare it to a translation. When a doctor writes a prescription or gives a diagnosis, it’s the medical coder’s job to translate those items into a numeric or alphanumeric code. For every injury, diagnosis and medical procedure, there are specific medical codes that correspond. These codes are later used for medical billing purposes to determine the appropriate amount a patient should be charged for medical services. In the medical coding industry, there are thousands of codes that medical coders may use, and there are many code sets and subsets that they must have a working knowledge of in order to apply effectively. Two of the most important ones include ICD (International Classification of Diseases) and CPT (Current Procedural Terminology). ICD codes are specific to the illness or injury a person is experiencing, while CPT codes are specific to the services performed by the healthcare provider to the patient as a result of their illness or injury. The purpose of these codes is to have a universal way to distinguish illnesses, medications and services performed across many different areas of the healthcare industry, including insurance companies, physicians, hospitals, government agencies and more. After a medical coder determines the correct medical codes (see section above for more about medical coding) to use per patient visit, the medical billing process begins, in which a claim for the insurance company is made. The medical biller sends this claim to the appropriate insurance company to be processed, and once it has been evaluated and returned, the medical biller determines how much the patient owes after insurance is taken out. 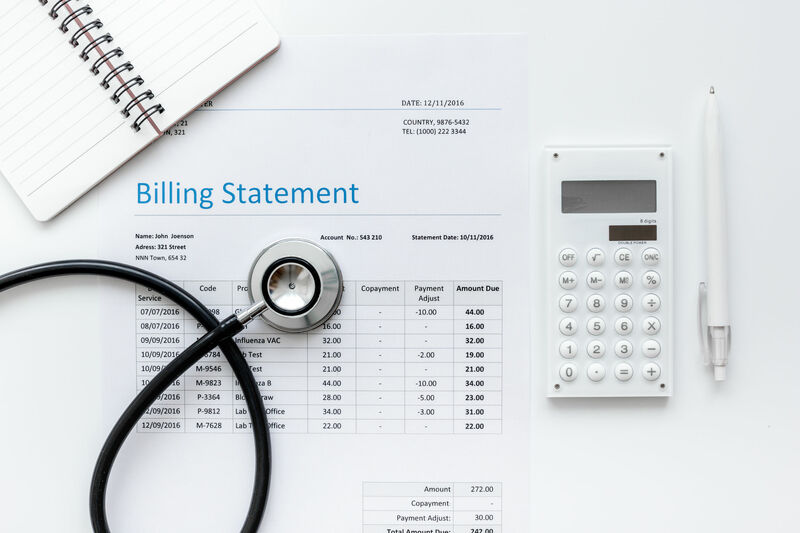 The medical billing process involves creating precise legal bills for healthcare providers, prepared and sent to insurance companies in a timely way. Medical billing also involves sending invoices and receiving payments from patients. This process may seem simple in theory, but it can be very complex when put into motion. Medical billers must ensure all codes correspond to each other, confirm or deny that all services provided by a physician are covered by the patient’s insurance policy, create a claim that aligns with the physician’s rates, and send their complete claim to the payer. The next step of the medical billing process involves waiting for payer adjudication, which is sent back to the medical biller once completed. The medical biller must then review the report and ensure all information is correct before processing a bill for the remaining amount the patient must pay for. Medical coders may also be responsible for handling any unpaid services by means of patient reminders or, if necessary, sending a bill to collections. 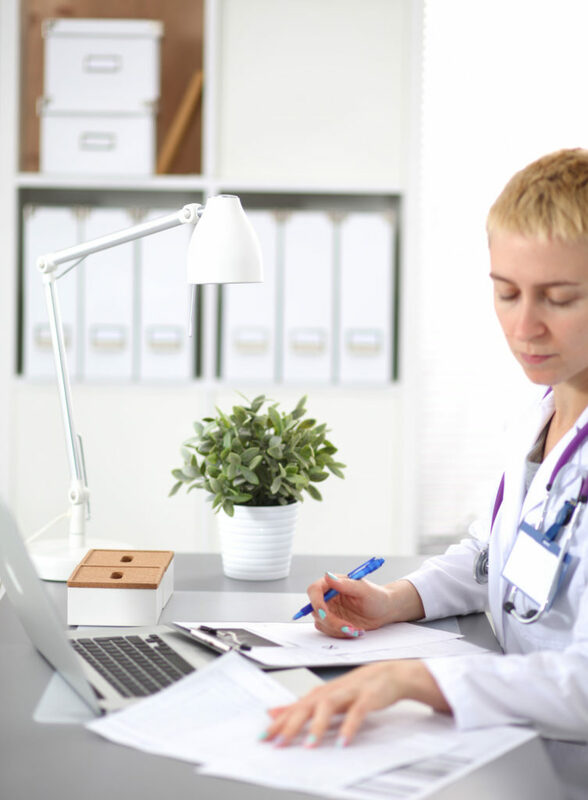 Utilizing an electronic health record (EHR) within a practice can be a huge benefit when it comes to streamlining efficiencies and improving workflows, but technology alone isn’t always enough to sustain quick or long-term growth. Easy Integration – Outsourcing medical billing doesn’t have to mean uprooting and abandoning a practice’s current EHR system. Most leading medical billing and coding companies offer services that easily integrate with major EHR systems like Allscripts, GreenwayHealth, eClinicalWorks, Nextech, Modernizing Medicine and more. Less Headaches – Medical regulations constantly change, which makes it difficult to keep up with for those who have other responsibilities at their practice—often the whole administrative side of the business. By outsourcing medical billing to experts who are intimately familiar with these ever-changing regulations, many headaches can be avoided. More Time for Patients – Outsourcing medical billing ultimately equates to more time available for patients. Happier patients = better business for your practice. Decreased Billing Errors – When there are billing errors, there can also be a loss of revenue. 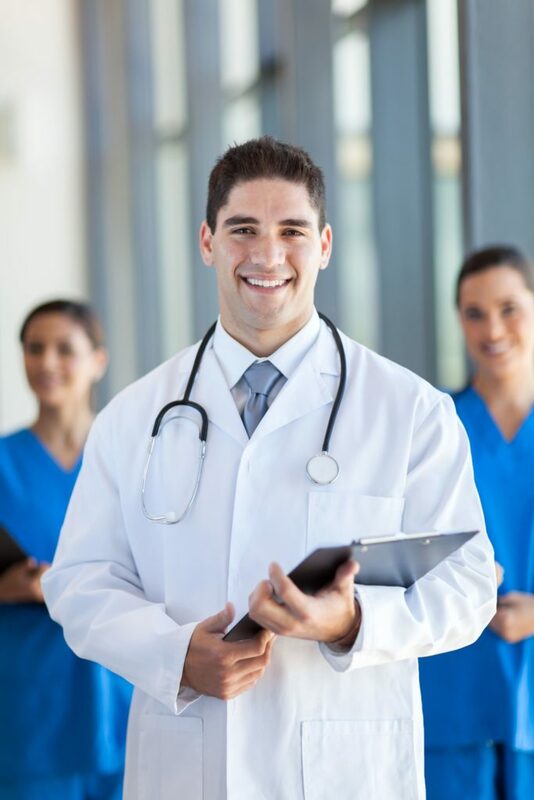 Outsourced medical billing helps ensure profitability and error-free billing. Ensured Compliance – With ever-changing regulations comes the need to be compliant. With the help of outsourced medical billing services, practices can rest assured their claims are clean and that they’re always up to date. Trusted Consulting from Billing Experts – Most outsourced billing and coding solutions provide helpful, accurate consulting services to help ensure practices have the answers they need to all their questions. Quicker Payments – Fewer billing errors means faster reimbursements. When reimbursements happen faster, so do payments. Outsourcing can be an effective way to reduce those errors and ultimately speed up the payment process. Scalable Growth – By taking the interruptions and complications of medical billing and coding off of a provider’s plate, there comes more time and room for scalable growth. This is crucial for any practice looking to increase revenue and gain more patients. Lowered Costs – Hiring a medical biller in-house comes with many expenses, including training, benefits, insurance and yearly salary costs. Outsourcing can be very beneficial in reducing those costs while still ensuring the same (if not better) quality of service is performed. Happier Patients – When there’s more time for patients, there’s more potential for patient satisfaction. And with satisfied customers, practices have even more potential to grow from referrals, testimonials and word-of-mouth recommendations. In today’s continually changing healthcare system, customized medical billing and coding solutions may be needed to maximize a practice’s management potential. Taking billing off of your administrative team’s plates to free up time for patients can make a difference in the overall success of your practice. There are often a great deal of factors to consider in order to manage it quickly and effectively. Understand What’s Owed – Gather and review each contract to see exactly what payers have agreed to pay. By listing out each payer’s contracted rates by CPT code in a spreadsheet, determining underpayments will be much easier to prove. Compile Data – Once contract information is gathered, it’s important to then compile statements and reimbursement data for each payer into another spreadsheet for a specified amount of time (one to three months). After that period of time, compare the data to rates in the first spreadsheet. If the payers are coming up short, put that information into a summarized report outlining the major issues. Contact the Payer – Once the information has proven that underpayments have occurred, approach the payers by requesting a meeting with the people responsible for negotiating the contracts. It’s important to come knowing what your expectations are in terms of reimbursement, should they agree to pay for their shortcomings. If they do not agree, legal action may be a good action to take. 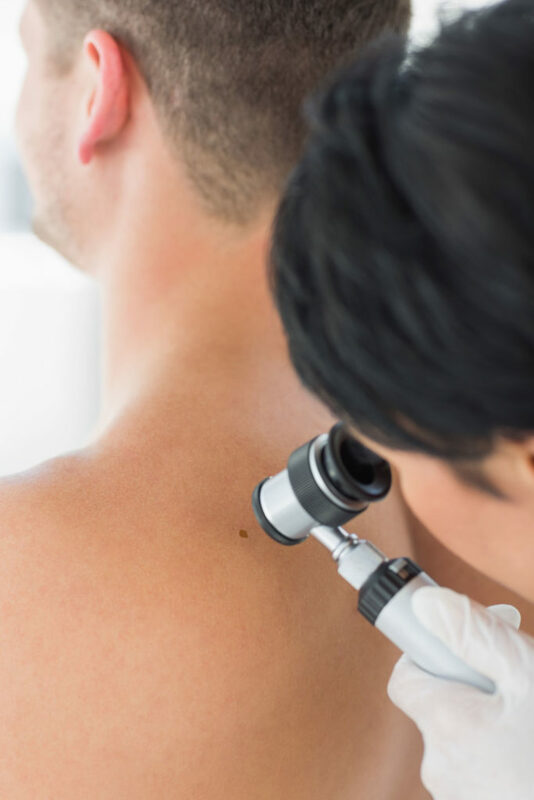 Stay Alert – Hopefully the preparation above results in a positive outcome for your practice, with a commitment from payers to provide more accurate reimbursements. But whether they do or do not, it’s important to be regularly auditing payments to see if they are continuing to underpay. If these steps prove too complicated or you’re unsure of how to actually compile this data for your practice, another option is to speak with a medical billing expert directly to help find a customized solution for your practice. Eliminate Your Own Errors – Patients commonly encounter problems with insurers, but sometimes, the problems stem directly from the practice. Find your weak points (including oversights, denial rates, poor timing, etc.) and address them as quickly as possible. 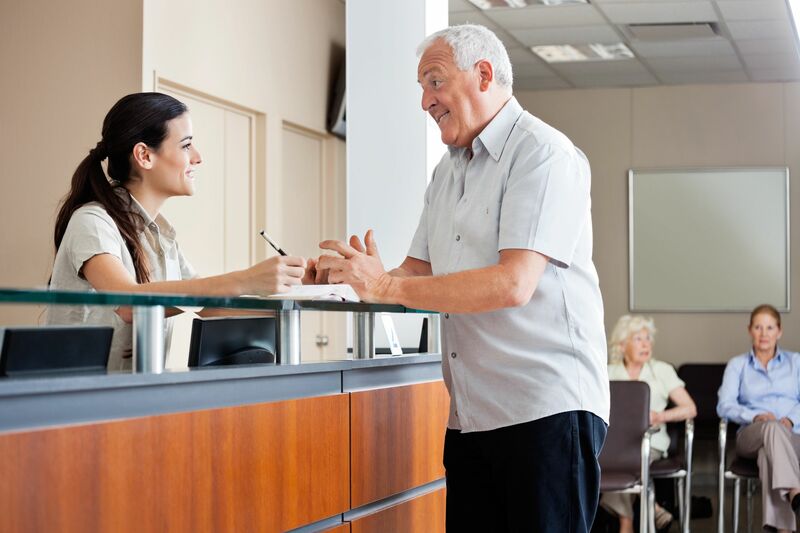 Re-evaluate Your Process – If your practice doesn’t have a formal billing policy, you may be running into recurring problems that confuse and frustrate patients. Make sure your process doesn’t skip eligibility checks, mail duplicate bills, fail to communicate important patient information, etc. Consider a Concierge or Outsourcing – Your patients need an ally at your practice—someone they can depend on for explaining expenses and taking care of special issues that may arise. 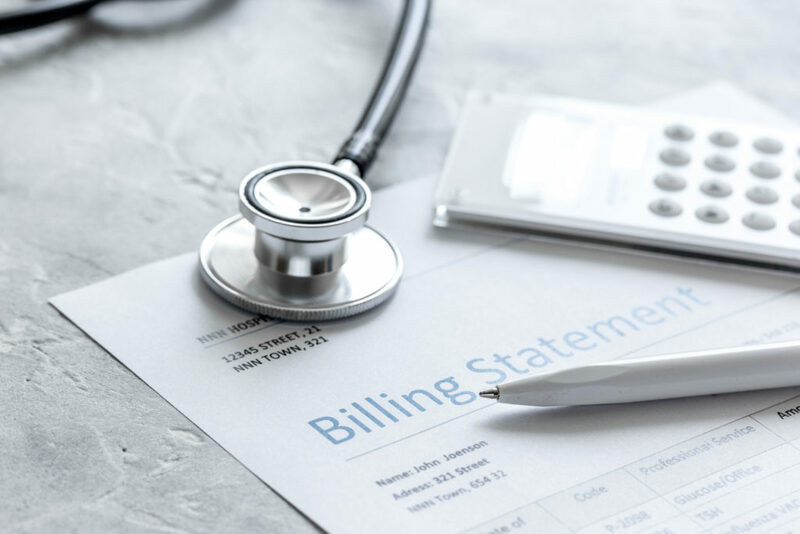 Another option is to consider outsourcing your billing to well-trained professionals, which has proven to help practices maximize revenue by lowering claim denial rates. Speak with an expert at NCG Medical to learn more about trusted outsourcing solutions for your practice today. Between denied claims, long remittance times, coverage disputes and more, working with payers can be difficult. But, with the help of an initiative by the Council for Affordable Quality Healthcare (CAQH), provider enrollment can be a lot simpler, with a lot fewer headaches. Using CAQH’s program the Universal Provider Datasource® (UPD)—an all-in-one platform where providers can submit, store, update and access the information they need—payers can use UPD to electronically download participating providers’ information into their systems. Contact a payer to request its CAQH registration kit and then follow the online process, or learn more about using CAQH to simplify payer enrollment here. If you still need assistance with working with payers, consider a medical billing solution to streamline your practice’s processes.